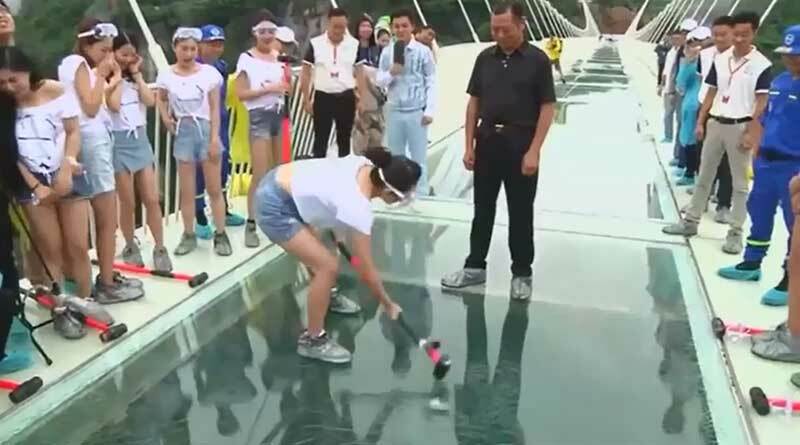 Volunteers were invited to smash what is claimed to be the world’s longest and highest glass bridge with sledgehammers to prove it is safe. About 30 people attempted to smash the glass floor of the bridge at Zhangjiajie in Hunan province, China, on Saturday. 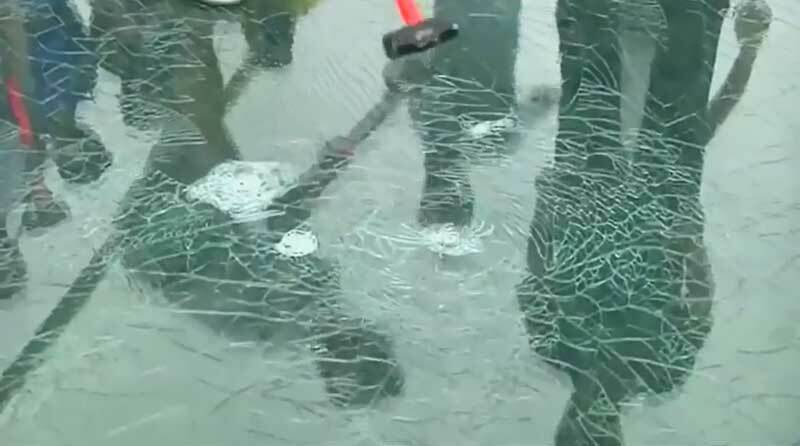 Wielding 5.5 kg sledgehammers, they only succeeded in cracking the glass. Later a vehicle was driven over the bridge. 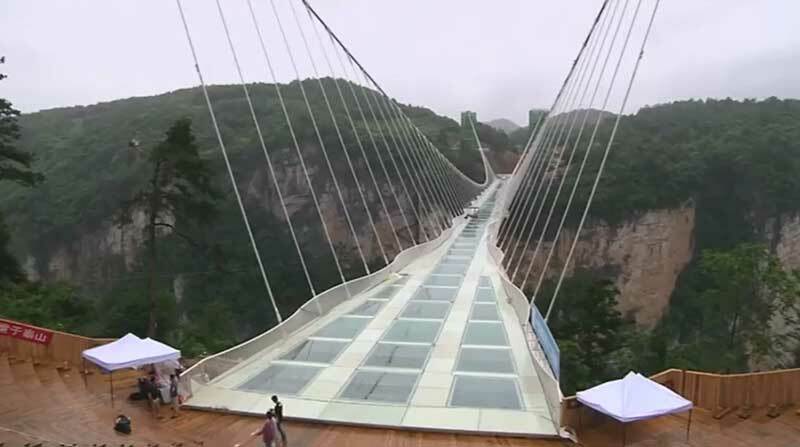 The bridge, 430 metres long, six metres wide and 300 metres above the bottom of the valley, can hold 800 people walking on it at any one time.